Retail industry faces many challenges in workforce skill development. 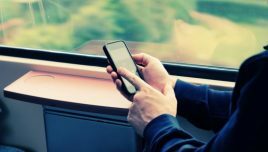 In this article, I explain, through tips and examples, how they can be mitigated using mobile learning. 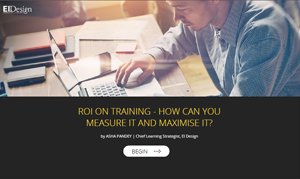 I also highlight how microlearning can help increase training effectiveness. Skill development in retail industry is challenging. The key challenge is the rapidly changing product offerings and a pressing need to offer “just-in-time” training to the employees. There is the challenge of high employee turn-over and the need for new employees to be trained very quickly to meet the targets. Employees often work under pressure of stiff targets and deadlines. They need learning solutions that are easily accessible and available precisely at the moment of their need. While certain training needs can be met through classroom or Instructor-Led trainings, mLearning (or mobile learning) is the most efficient and effective way to mitigate these challenges. 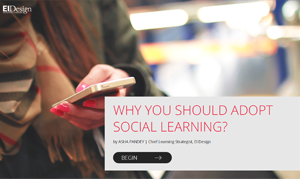 What Is mLearning (Or Mobile Learning) And What Is Pushing Its Adoption? 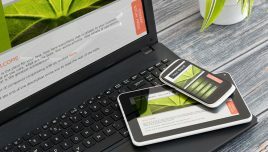 Just look at the way mobile devices are an integral part of our life today, and it comes as no surprise that learning on these devices is a natural extension. 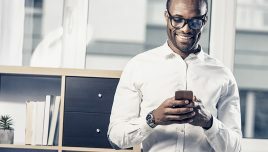 mLearning is an extension of the traditional eLearning and features training that is available to the learners on devices of their choice (read: tablets and smartphones). These solutions are designed for multi-device support and run seamlessly on desktops, laptops, and mobile devices. Globally, the workforce has an increasing number of Millennials. As digital natives, this generation is addicted to using mobile devices. Learners’ view on how they want to learn. The training deployment is no more limited by the way L&D teams want learners to go through it. Instead, learners ask for learning at their moment of need. The push for “just-in-time” learning aids that are available on learners’ mobile devices is very high. Learning device of learner’s choice. Rather than be told how to consume training, today’s learners want the flexibility to learn on the device of their choice. Come 2018, 7 out of 10 professionals would be working on the go, using their personal smartphones. A whopping 60% of employees feel mobile devices are their “most critical work device”. Almost all the workers surveyed admitted to completing the training in mobile format. 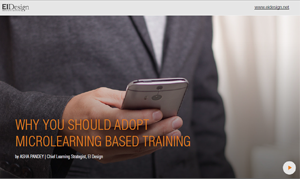 Close to 47% organizations across the world have already adopted mobile learning solutions to train their workforce. How Can mLearning (Or Mobile Learning) Help Increase The Impact Of Workforce Training In Retail? Mobile learning is an effective approach in achieving the training goals with quality and efficiency. 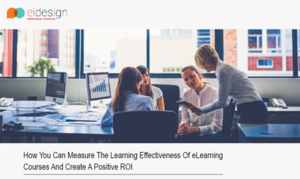 Furthermore, mLearning delivered in microlearning format is probably the ideal approach to adopt, as it provides learning available to the employees on the floor, in short, bite-sized format that are easy to review, internalize, and apply. 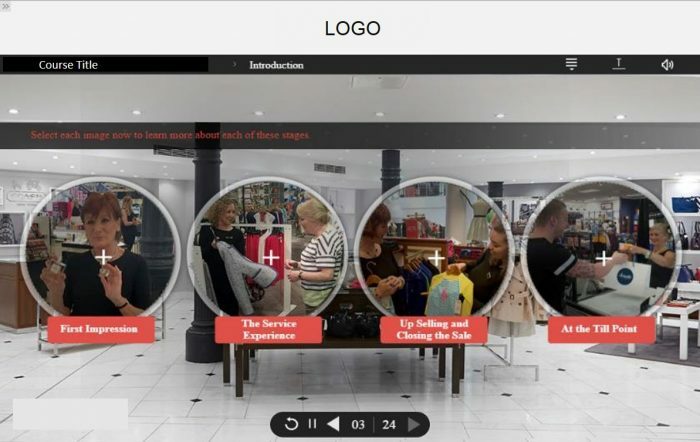 How Can You Use mLearning (Or Mobile Learning) To Design Training Programs That Map To Retail Industry Dynamics? Easy access to the training (at the time of need). 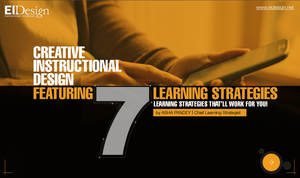 Using strategies that increase the learnability (or learning effectiveness) of the training. Using strategies that reinforce primary training and help learners apply the learning on the job. Once all these aspects are in place, the learning would not be acquired quickly but would be internalized for effective on-the-job application. It would be highly beneficial for the learners and will bring the required impact the business seeks. If we look at retail industry dynamics, the need for flexibility in learning and being able to learn on the move (including within work premises) are critical factors that make mobile learning the ideal training delivery format. Do not limit your approach to traditional, structured training delivery formats. Take a step further and offer the learners flexibility through learning paths. Instead of holding discrete sessions, foster a culture that promotes learning as a continuum. This would encourage the learners to invest on learning over an extended period of time, be abreast of the latest updates, and apply the learning to attain a demonstrable gain. You can also evaluate learning portals that integrate microlearning, mobile apps, gamification, and social learning elements to double the impact of formal training. As Performance Support Tools (PSTs). Offering job aids (or just-in-time learning aids) for learners’ access within their workflow is a great way to trigger the desired behavioral change. You can also use PSTs to engage the learners post the formal training and facilitate reinforcement of learning. Blending mLearning components with the traditional ILT training format is another effective means to achieving the impact you seek. This can include pre-workshop collaterals, and/or simulations, exercises, and role-plays in the workshop, and workshop assessments. This approach lets you establish and maintain strong relations between the learners as well as between learners and instructors to provide learning nuggets post the workshop. The combination of all these elements is bound to have a direct and lasting impact on learning and application and will help you bring about the desired behavioral change in learners. At EI Design, we have been crafting mobile learning solutions for the retail industry for over 4 years now. Let me showcase a few examples on how we have used mobile learning for formal training and as Performance Support Tools. Store staff, including sales representatives. Specific training programs to promote key campaigns. Here are examples that demonstrate how you can use mobile learning to mitigate training challenges in retail and create high-impact training programs that meet the training mandates. The course was a learning journey through 6 interactive eLearning courses, supplemented with Performance Support Tools (PSTs) in the form of interactive PDFs that promoted deep, exploratory learning in all (new and existing) employees. 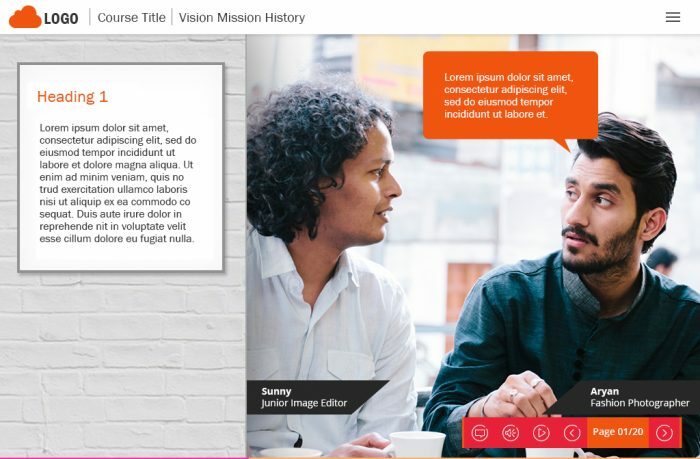 For immersive learning, each module contained interactive content and a key challenge the learners must complete before moving to the next module. It also included gamification elements like points, challenges, and levels for an engaging experience and for motivating the leaners to learn effectively. This standard product training was converted into a highly interactive, gamified solution to make the learning sticky and experiential. 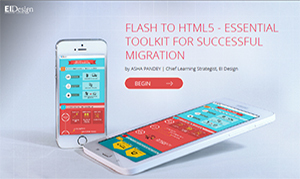 Featuring multi-device compatibility, the complete learning journey was divided into two sections – learn and practice. Learners were given store-like experiences to learn the key aspects of the products and then put in customer situations to handle queries. To make the course motivating and challenging, the exercises and activities were time based and offered bonus points for finishing the course in lesser time. Upon completing each topic, learners would earn a star, which let them advance to the next level (topic) and finally become a star salesman. This course was designed to train new joiners within an eCommerce fashion company to get them acquainted about the company, its business drivers, and leadership competencies. Since the audience was predominantly Millennials, we used a colorful and responsive user experience, with a fashion theme to match the organization’s primary mission – to “democratize fashion”. The course comprised three modules that could be taken independently, though they were tied together by a visual menu that depicted a journey through a gallery, a retail space, and an office. At the end of each module, learners were given a fun game that let them check their understanding of the topics covered. This course was designed as a retailer engagement platform that engaged trade partners. It was a meaningful learning journey on products and categories to engage and motivate retailers to come back to it and even share it with peers. 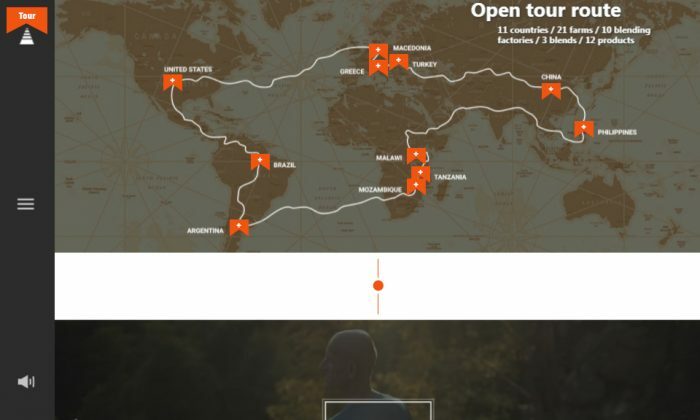 The content of the course was transformed into a gamified learning journey across various product facilities worldwide, and it was called the “Open Tour”. It included real stories from existing content delivered through animations and videos and through stories built and shared by users. 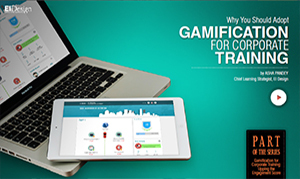 Gamification and social learning elements were embedded to promote active collaboration with peers in social media and to impart a sense of social recognition as users earned rewards and feedbacks for activities they performed. 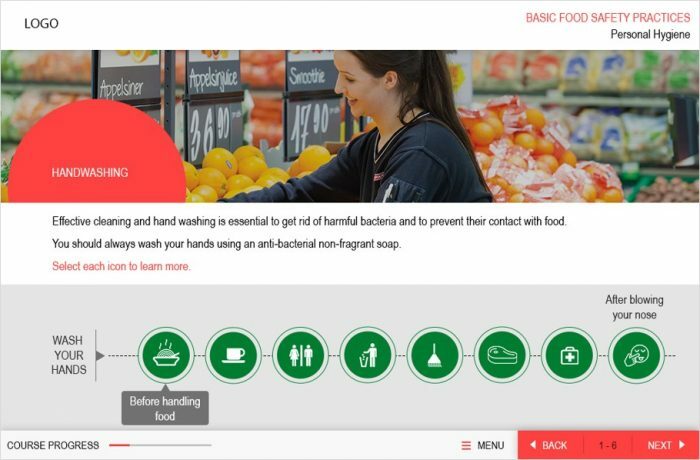 This course was designed to spread awareness of the best practices in food safety for a large food retail entity. It used rich, vibrant visuals, interactivities wherever relevant, and animations for processes related to food safety and compliance procedures, to make the training lively and engaging. Questions and activities were used at strategic intervals to test the learners’ understanding of the key processes and best practices. 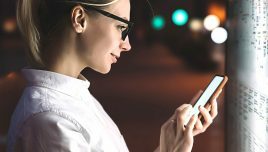 I hope this article gives you insights on how to use mobile learning (with microlearning, social learning, and gamification elements) to create highly effective training programs for employees in the retail industry. If you have further queries or need any specific support, do contact me at apandey@eidesign.net.